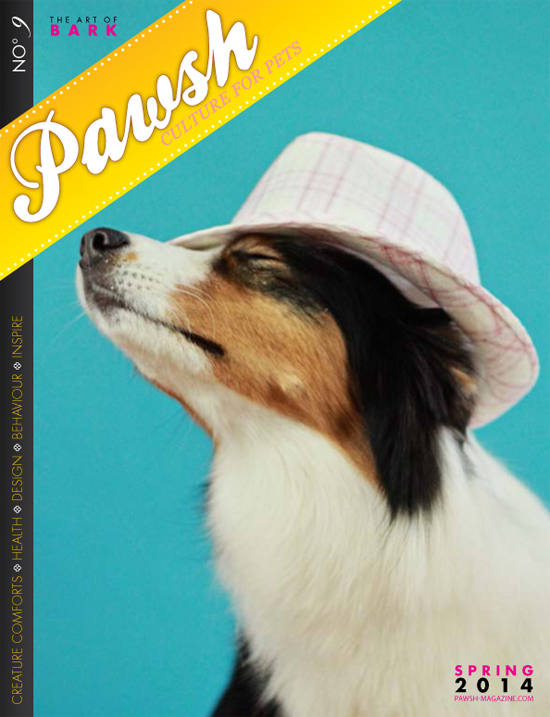 Presenting Pawsh Magazine No. 9! It is here at last! Phew! Thank you all for your patience while the team and I took a few extra days to make sure it was perfect for you! As always, huge thanks to all of our contributors, our wonderful sponsors (be sure to check out their beautiful boutique ads!) and everyone who took time out of their busy schedules to be interviewed for this edition! A bit of bad news friends — Pawsh No. 9 will not be available until this Friday, March 21st (the first day of spring). We want it to be as perfect as possible, so opted to spend a few extra days making sure every little detail is spot on! In the meantime, however, here is the new cover! Our cover pup, Cohen, looks like she is crooning with glee at the prospect of warm weather. This shot makes me want to sip wine on a warm patio and listen to live jazz all night long. 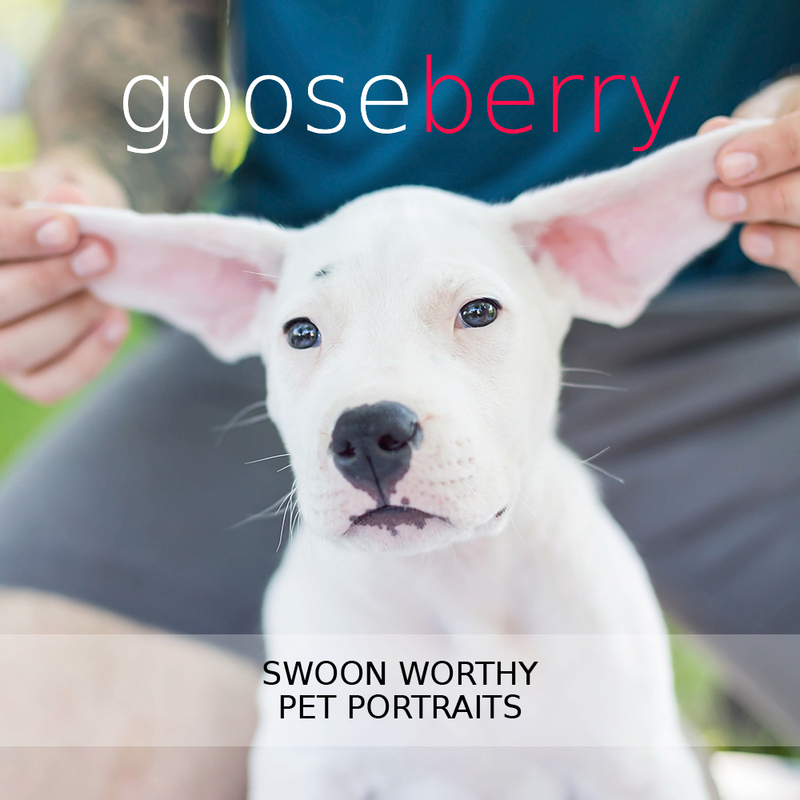 Now that spring has arrived, many people may be planning to add a puppy to their family unit. While the precious little babes may seem like low maintenance, the truth is they require a lot of preparation and care. 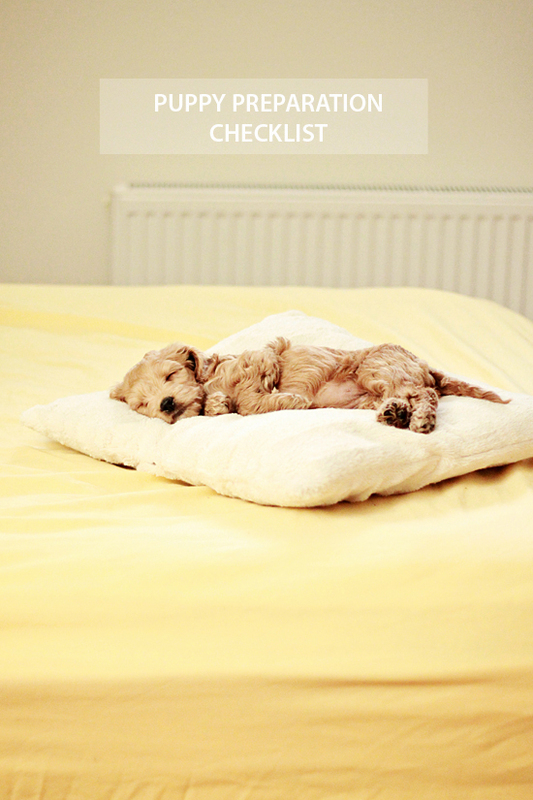 So here’s a brief checklist for first time puppy parents that overviews some important things to keep in mind before puppy comes home. This cannot be stressed enough. Researching puppy care in general, as well as the care required by its specific breed, is number one. 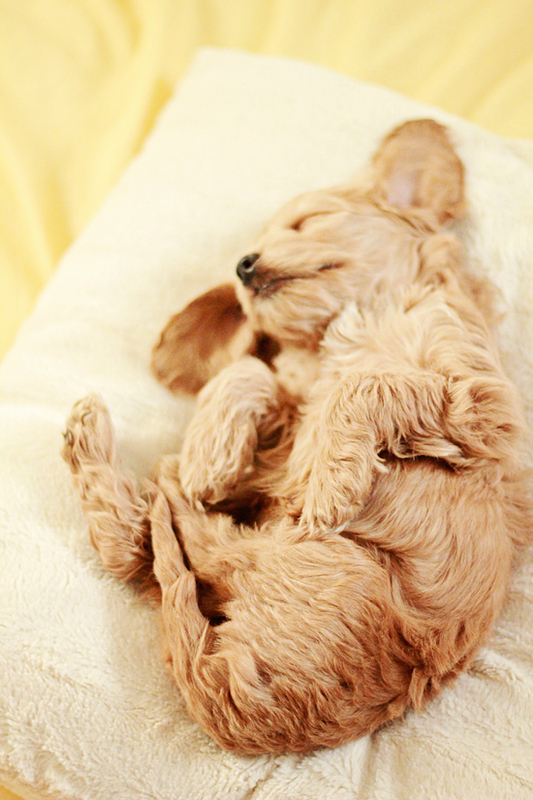 Different breeds come with different needs which an expectant puppy parent should know about. Keep a couple of reputable puppy books on your coffee table, or bookmark some informative blogs and websites on your computer, so that you can easily turn to a reliable source if faced with an unknown when your ball of fluff arrives. Be prepared to tackle house training, teething, exercise needs, nutrition and more all at once. Taping your local vet’s emergency telephone number to the fridge isn’t a bad idea either — just in case. Puppies like to put anything and everything in their mouths, so be sure to put anything that is potentially harmful out of puppy’s reach. Tape down wires and cover electrical sockets. Put baby gates across stairs so your puppy cannot fall down and injure themselves, and put away any rugs or valuable items in your home that might get broken. 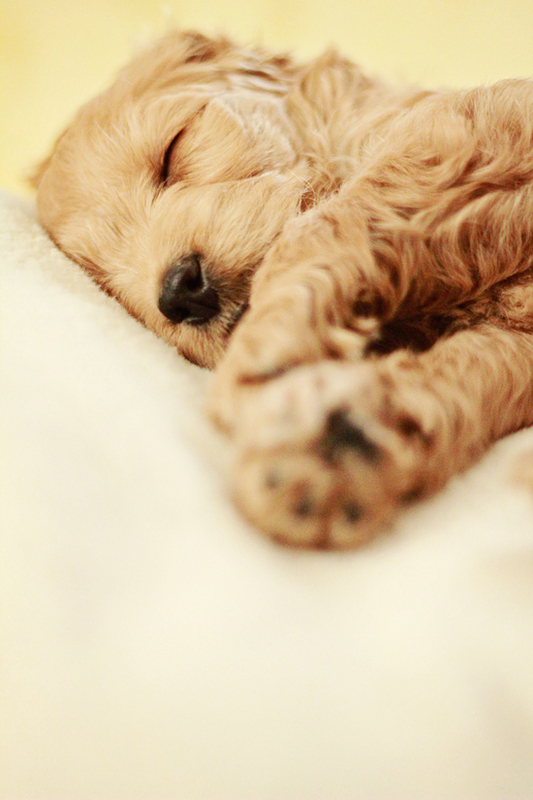 Your puppy is going to need a place to call their own, a safe place to hideaway and sleep when they want to. Introducing your puppy to a crate at an early age is a good idea so that they are comfortable and can be left in it when you have to go out. This will help keep them safe and out of mischief when you’re not around to supervise. Yes, puppies need a special form of dog food. Visit your local pet shop ahead of time and choose a kibble that suits your puppy’s age. Talk to the sales clerk if you are unsure. Puppies have little mouths with little teeth that need to be worked, so be sure to have a few toys in the house for them to play with. It is important to get toys that are designated as ‘suitable for puppies’ because these will be designed specifically for little ones who are just growing into their chompers. Puppy chew toys especially will help them when it comes time for teething. Just like babies, puppies are a lot of work and demand a lot of attention. Sometimes, as the doting parent, you’ll need an afternoon or an evening out to clear your head and recharge your batteries. Or sometimes you have to travel for work and run out to unexpected meetings. Thus it’s a good idea to have a reliable puppy babysitter on speed-dial for those hectic times, somebody who can lend a hand and help you ensure that puppy is getting only the best. As a first time puppy owner there is a lot to take in. Enrolling in a puppy obedience class never hurts, because you will have access to an expert trainer who will teach you how to train your puppy and communicate effectively with them. 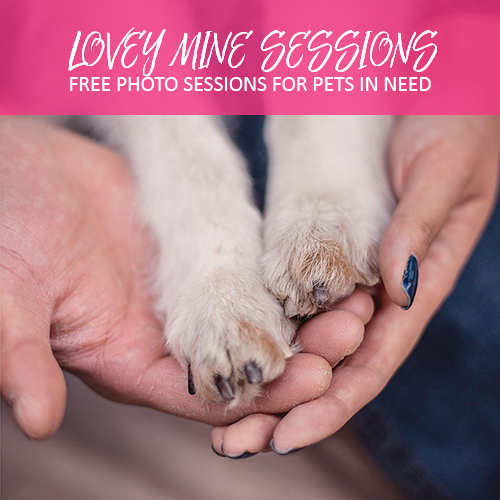 Plus, it is an opportunity to socialize your puppy with other dogs their age and provides them with a new exciting experience. Bringing home a puppy to a well-prepared home is a magical experience like none other. What was your first day home with your puppy like? 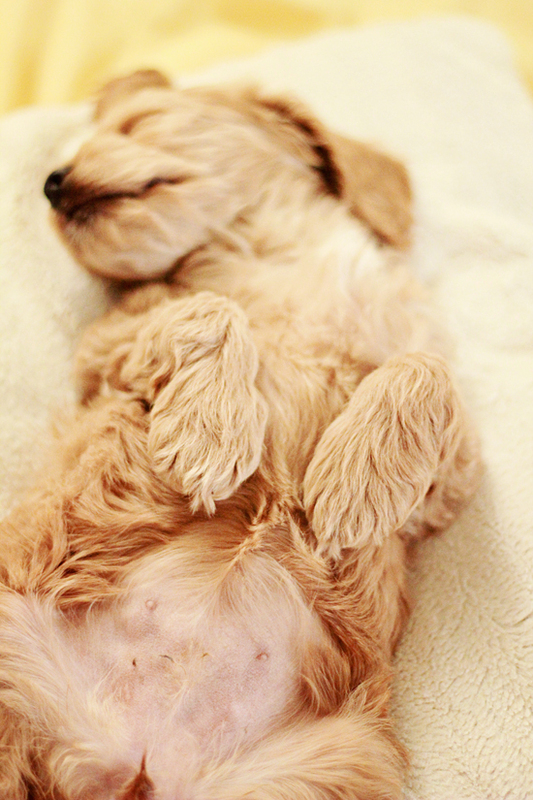 We’re dying to know and relive some precious puppy moments! This article was made possible by EZ X Harness, a revolutionary new harness that is ideal for leash training and will help keep your dog safe when out on their walks! 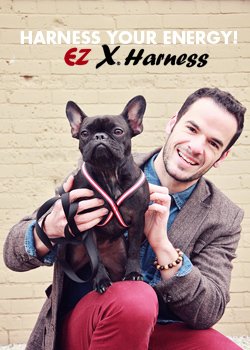 The EZ X Harness takes safety, comfort and control to a new level! Avoid neck injuries and eliminate pulling! Just Easy On and Easy Off. Great for sport, about town or riding in the car! Available in all sorts of colours — a safe style for everyone! 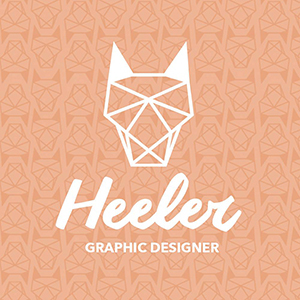 Follow them on Facebook! Today we have a special treat! 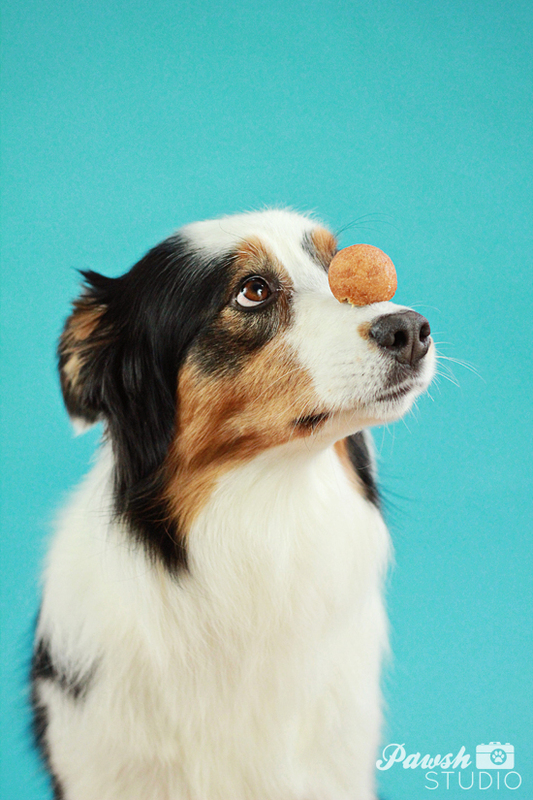 Jess Bell, a Toronto-based dog trick trainer, and her adorable Aussie friend, Cohen, are here to tell us all how to train a dog to balance objects on its nose. Keep reading to master this impressive trick in a simple step-by-step manner! Take it away Jess! This trick requires a fair amount of impulse control on behalf of the dog, so mastering ‘stays’ and ‘leave-its’ prior to starting work on this trick is a good idea and highly recommended. The first step is getting the dog used to being handled. Get your treats ready, set the dog up so she’s comfortable in a ‘sit’ or a ‘down’ on a rug and then extend your hand to touch her muzzle. Mark with a “yes” or a click and then reward with food. Repeat this until your dog understands that handling her muzzle means a treat is coming, and she even looks forward to it! This may take a few days or more. Go at the pace your dog sets and don’t rush it. The next step is introducing the object. It helps if you have a jackpot (aka super yummy!) treat visible to the dog on a coffee table so they can see it. Steady their muzzle with your hand and place the object on their nose for a split second. Mark with a “yes!” or a click, remove the object while saying “okay!” then give your dog the jackpot treat she was probably staring at the whole time. 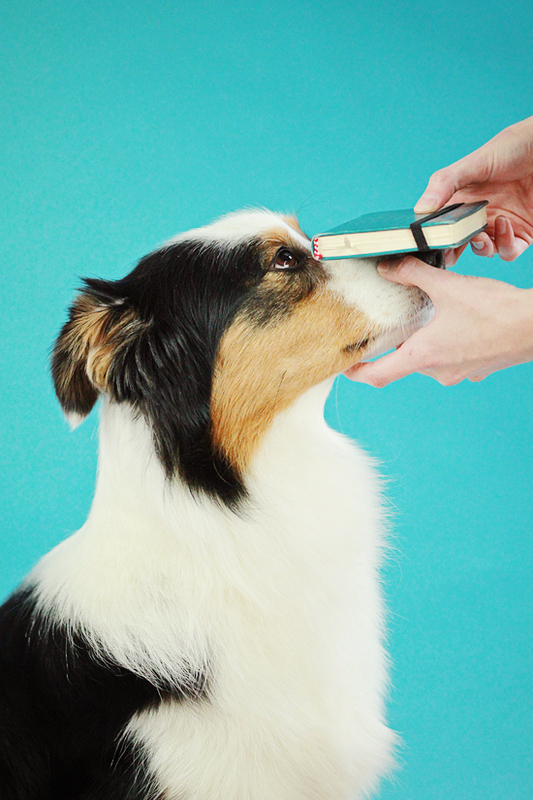 It’s important that in the early stages you have the object on the dog’s nose for tiny, tiny increments of time because this can be HARD for your pup. 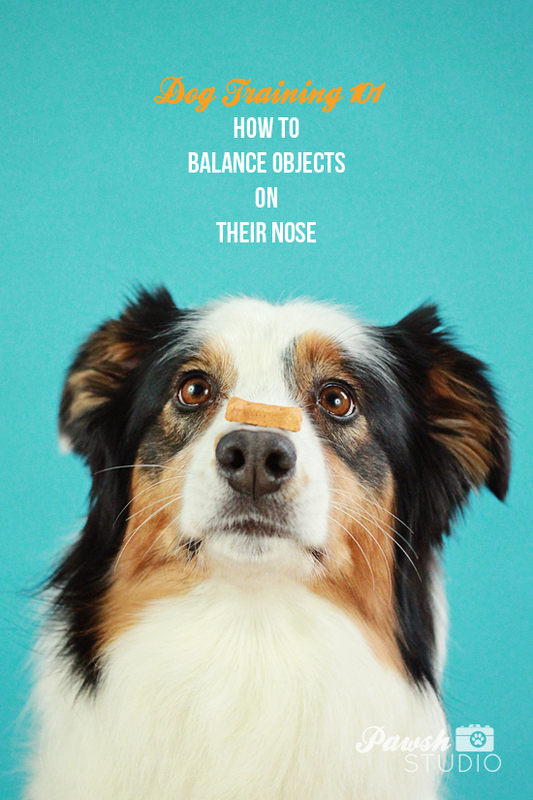 Gradually ask for the dog to hold the object for longer and without your hand to support her nose. It’s best to keep the number of repetitions low — no more than 1-3 practices at a time. If you’re having trouble, back up a step or two. The most common mistake I see people make is asking for too much too fast. 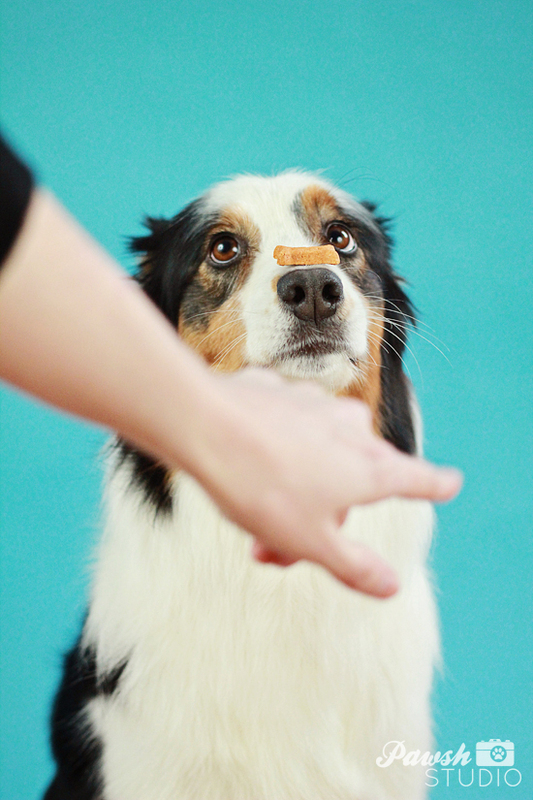 Split seconds can feel like a dog’s age to your pup — so keep it brief. Short and sweet is best! To start with you probably don’t want to ask for more than 0.25 seconds. That’s, like, really short. Then move up to 0.5 seconds, then 0.75 seconds. It will probably take you a few sessions before you can ask for her to balance something for longer than a second. Once she knows the trick, you can ask the dog to balance something for quite a while. Use your best judgement. Normally 5-10 seconds is all you’ll need to impress your friends and snap a quick photo. WHAT ARE SOME GOOD OBJECTS TO BALANCE? Take an object and try to balance it on the tip of your finger. If it’s easy for you, it’ll be easy for your dog. Stuffed toys or other small objects that won’t roll about are a good thing to start on. A lot of people start with treats. 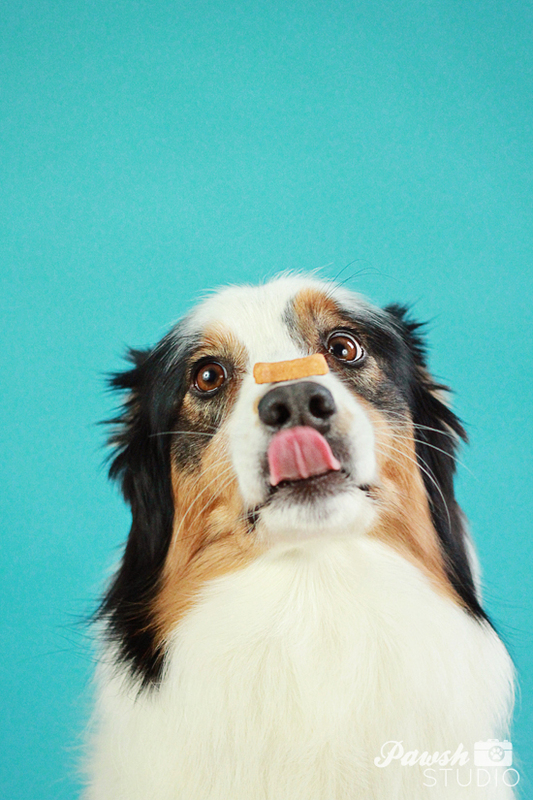 Just remember that if you want your dog to balance a treat on her nose, reward with something BETTER or else your dog may opt to cut out the middleman and eat the treat at her leisure. WHAT COMMANDS ARE ASSOCIATED WITH THIS TRICK? Generally this trick is just a fancy ‘stay’ command; when you say, your dog should, ideally, not move a muscle. 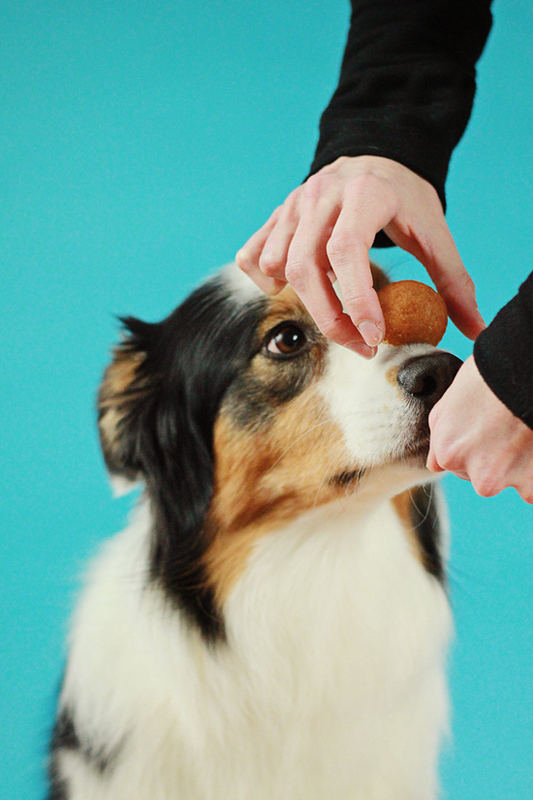 You can also create a new cue like “hold it” if it’s easier for you and your dog to work with. Always remember your release cue! Say “okay” to let your dog know she can move again. You don’t want her releasing herself — you want her waiting for your say-so. 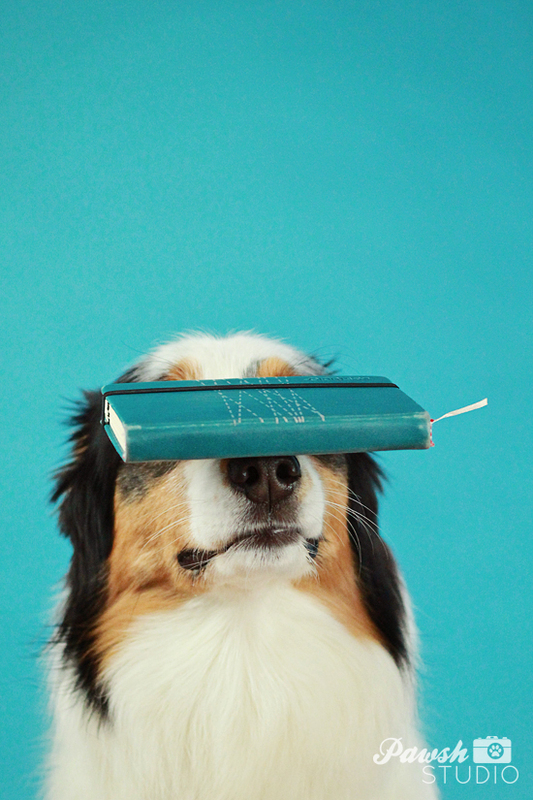 Sometimes dogs find this trick unpleasant to learn. If your dog is exhibiting any stress signs, stop! Tricks are meant to be fun for both of you! If you have to stop, don’t worry. Give the trick a rest for a few weeks then come back to it. Sometimes you need to shelve things like this and come back to it later. If your dog can’t do this now it doesn’t mean she’ll never do it. Try teaching another trick in the meantime. Remember, the goal is to have fun, fun, fun! 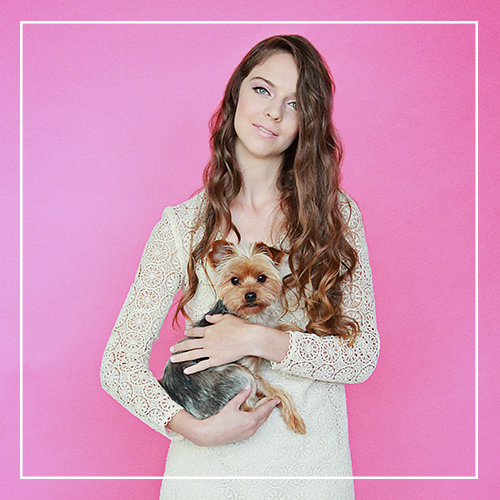 PAWSH PERK: Be sure to visit on Monday for our dog-friendly ‘Timbit’ recipe! This fun Training & Play column was made possible by Paw Couture! Show those dearest to you how much you love them this month! Starting as low as $34.99, Paw Couture brings the boutique to you! We hand select our products and customize to customize a special package that will light up the face of your furry friend! For a guaranteed tail wagging experience, visit us at Paw Couture or find us on FACEBOOK and TWITTER.